Truly, it does not get more serious than the ongoing 5G roll-out across America. And, yet, getting people to pay attention to this exceedingly critical public health disaster and environmental catastrophe has been quite difficult. The bottom line is this: If 5G is not terminated post-haste, it will be virtually impossible to reverse. With this crucial understanding, every reader ought to do their level best to inform their fellow citizens. 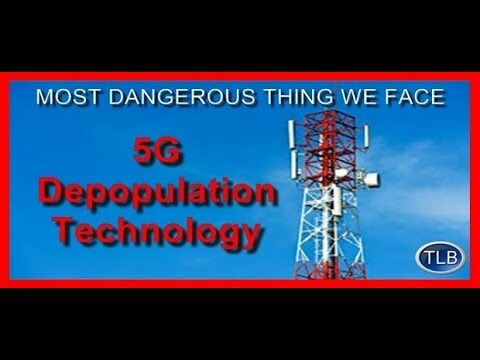 You can start by circulating this excellent video; perhaps the best ever produced on the upcoming 5G ‘EXTINCTION LEVEL EVENT’. Now that we have your attention, let’s take a look at one prong of a multi-pronged strategy that’s being actively developed — WITH YOUR INPUT — to terminate the 5G roll-out in the USA. For those who still need more convincing, please consider the following three in-depth articles on the 5G depop conspiracy. The Internet of Things potentially connects every device and “thing” that possesses the requisite level of wifi technology. Such an IT control mechanism permits the intrusion of government and corporations into our lives to an unparalleled and unacceptable degree. Hence, the IoT will effectively function as a massive monitoring platform that has no limits. But why are the power elite and their Deep State lackeys and corporate shills so determined to roll-out 5G without any safety testing whatsoever and prior to receiving the mandated public feedback? Because only after they flip the switch on 5G will the ‘all-important’ Internet of Things (IoT) be viable. The current 4G paradigm simply cannot support the planned IoT as the power generation is far too low. Again, they cannot sufficiently power up the IoT without a fully functioning 5G energy grid in place practically everywhere on the planet. This fact alone is the major driving force behind the truly insane 5G roll-out. Were the promoters of this national catastrophe-in-the-making to understand the profoundly perilous and far-reaching repercussions, they would abort the 5G deployment if only to save their own lives. Yes, 5G is really that scary… and more. Hence, we have designed what we feel is the now compulsory “Florida Strategy”. Because of the highly contentious 2020 election cycle, the basic strategy to shut down the 5G roll-out is to use the battleground state of Florida as ground zero. *Every POTUS candidate on every side of the political spectrum knows that whoever wins Florida sits in the Oval Office. Florida’s 29 electoral votes have always been, and are that vital, to any presidential candidate. Therefore, the immediate and primary purpose of this statewide endeavor is to make 5G the biggest campaign issue of this election cycle…and in every race—federal and state, city and county. Because many people move here to have fun in the sun and get healthy and enjoy a wholesome retirement. Were they to realize that 5G will wreck their retirement like there’s no tomorrow, they will rebel and do so especially AT THE BALLOT BOX. 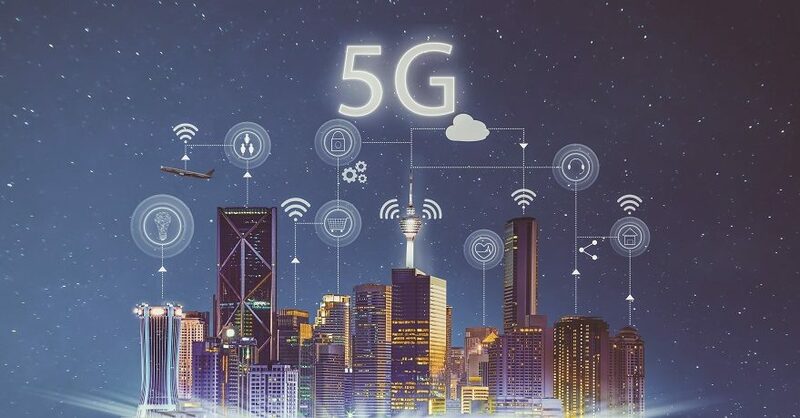 In order to foment this “Residents Revolution” against Big Telcom, the political establishment and the 5G vested interests, our game plan is to force each and every candidate, at every level, to take a firm position for or against the unlawful deployment of 5G. This strategy will especially be used to push every POTUS candidate into their respective 5G corner. Each candidate will be given the opportunity to show that they are either with the Anti-5G Movement or against us. The bottom line here is that whoever does not stand with We the People against the rapid 5G roll-out is against us —all of US! Here’s how we’re doing it in Florida … which can then be duplicated in every other state. Folks in each state are highly encouraged to make this advocacy project their own, particularly in order to poignantly appeal to the sensibilities of their residents. Each state has their own hot-button issues, especially where it concerns emerging public health threats. Our first objective is to organize a whistle-stop tour of the state whereby an anointed anti-5G candidate is selected to spearhead the tour which our crowdfunding will financially support. This candidate for elective office can come from any level, but a POTUS candidate would be preferred such as a strong third-party contender. This highly 5G-educated individual will conduct a high-profile tour around the peninsula of Florida hitting all the key cities that are the most vulnerable to 5G implementation. For example, these are some of the urban areas that will be targeted by both our whistle-stop tour and 5G multi-media campaign kit. Villages, Port Charlotte, Bonita Springs, Cape Coral, and the Keys. Prior to the commencement of this 5G awareness-raising tour, a comprehensive multi-media campaign kit will be created and made digitally available to every resident in the state. Let’s face it: the elected representatives and government officials who are directly responsible for the 5G roll-out do not work for the voters. In point of fact, they work for the many powerful moneyed interests who are behind the 5G juggernaut. In light of this stark reality, the only real leverage that We the People have to hold their feet to the fire, especially where it concerns direct threats to our health, safety and well-being, is their election or loss, as well as the appointment of others. Therefore, this electoral strategy is best effectuated at the polls on Election Day. To repeat, we will use the 2019-2020 campaign season to critically vet the candidates based on their 5G stance. In this way, their stated position on 5G will either become a political poison pill or super-steroid for their candidacy. At the end of the day, this nation must come to grips with what is essentially the military deployment of 5G weaponry. This EMF-microwave weapon system can be trained on an exposed populace with the flip of a switch and turn of the dial. 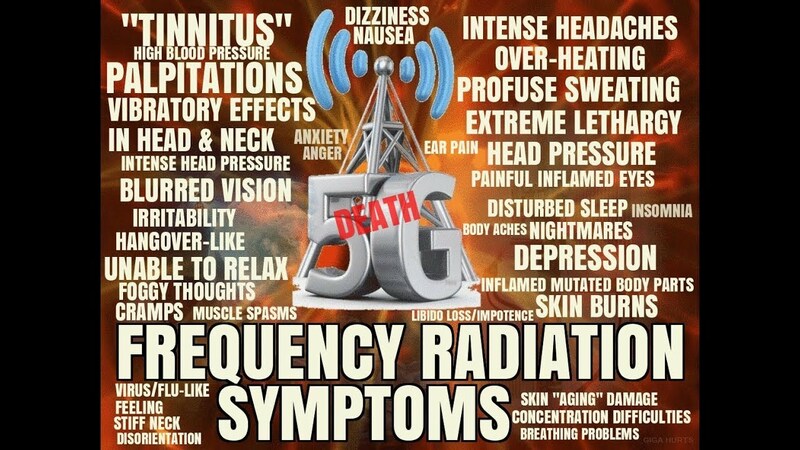 Were the trial communities across America to understand the literal explosion of dangerous 5G frequencies and microwaves they will soon be exposed to, they would immediately vacate the premises. Given this insidiously emerging reality, the 2020 campaign cycle presents the perfect opportunity for the body politic to shut down 5G, once and for all. Never in American history has the entire country been plunged into such a precarious predicament whereby very few citizens really comprehend the invisible dangers that will soon lurk EVERYWHERE. 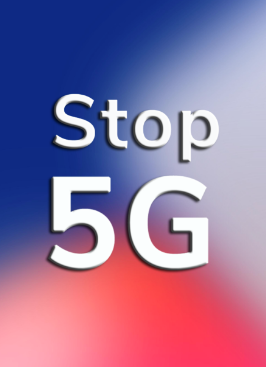 Toward that end, the #Stop5GinFlorida campaign is looking for advocates willing to do whatever they can do — or want to do to — in the conduct halting 5G. The following email address is dedicated strictly to this Florida initiative. Please feel free to contact us if this project resonates with you or your family or friends, but only if you have something specifically to offer this advocacy movement. We have limited staff and time to answer emails so we thank you for your understanding. For advocates who want to follow the success of the execution of our strategy here in Florida, the website below will be continually updated with the latest initiatives and accomplishments. Although this inaugural initiative is centered on Florida, everyone is encouraged to take this model and apply it in their own state. In this manner, eventually a critical mass of 5G protesters will coalesce around the national movement that’s also growing by the day. 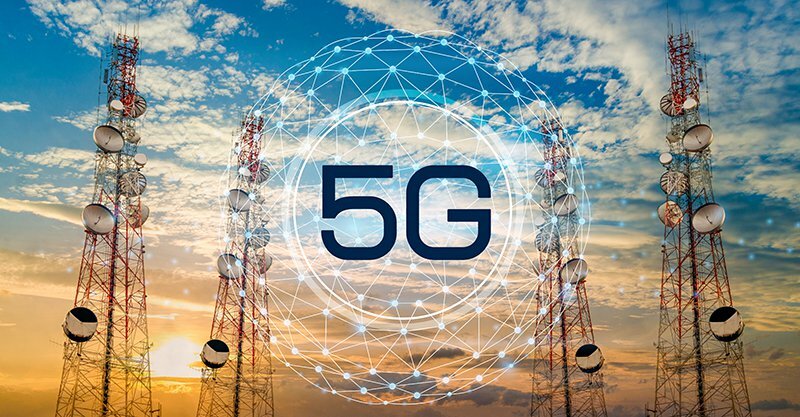 The following excellent post is highly recommended for those advocates who intend to move forward in their respective cities and states: 5G: What you need to know—NOW! Florida is a bellwether state, and not just for POTUS elections. In other words, a BIG win against 5G in Florida will reverberate across the USA like a 12.0 earthquake. Should the political sphere here be saturated with anti-5G demonstrations, things can change very fast. For instance, the massive protest planned around the capital building in Tallahassee can trigger a similar result to the outcry of previous protests. New laws have been written in the same week when the Florida legislators have felt the palpable threat of people power, especially when it translates into voter’s revenge. In spite of the fact that this endeavor is focusing on Florida, our real aim is to hijack the race for POTUS nationwide. However, we must first demonstrate clear competency here so as to prove that this approach can work—QUICKLY. In an effort to launch this multi-pronged strategy, our anti-5G campaign will directly confront the major candidates first, and then the party nominees after they are finalized. For example, here’s an open letter that has already been sent to President Trump, his family and key staff members. For those who are still on the fence, the preceding letter ought to convey just how serious and unstoppable this anti-5G movement has already become. There has never been such a fierce and furious grassroots movement grown so fast, and the power elite know it. Even they know how dangerous 5G is which is why Palm Beach, FL is exempt from 5G wireless law. By the way, Here’s why 5G is NOT allowed in Israel where it was developed. 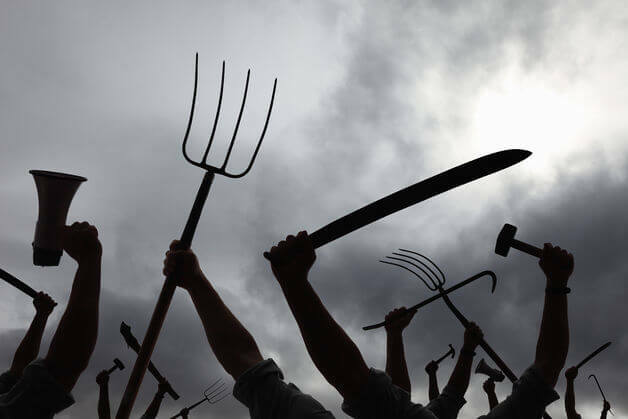 Ultimately, the U.S citizenry will unite into a forceful people-powered juggernaut strong enough to derail the 5G freight train that left the station without an iota of informed consent from We the People. If we are effective at making anti-5G roll-out the most radioactive campaign issue during this election cycle, there’s no question it can be successfully terminated—FOREVER! Not only that, the newly built anti-5G advocacy movement can then be directed to shutting down the chemtrails and especially the geoengineered weather warfare now occurring regularly nationwide. In fact, chemical geoengineering is being used in tandem with 5G to greatly amplify the effects of both highly destructive technologies. Just how committed are we to completely halting the deployment of 5G? This Alt Media platform, along with several partnering sites, have made this vital project our central mission until Election Day. Here’s a previously published SOTN statement that makes clear our firm intention and indomitable determination. We thank everyone for their interest, their concern, and their support for this worthy cause. CAVEAT: The American Republic is being rent with division in every sphere of life. The forces of chaos and conflict have been let loose with purposeful design. The unrelenting distraction, diversion and deception is being deliberately perpetrated by New World Order globalist cabal in order to stealthily deploy 5G throughout the entire country. Hence, it has never been so imperative for Americans to unify around stopping this unparalleled the 5G ELE (Extinction Level Event). Many folks have been asking how they can help with this project. We have taken no donations up until now but the rapid expansion of this advocacy movement will require new expenditures. Since we are entering a much more labor and material-intensive phase of this advocacy project outside funding has become necessary. The most significant of these expenses is producing many duplicate CDs of this highly informative video: The Single BEST Video on the Internet Today Exposing the 5G Global Calamity. There are countless retirees in Florida who are not on the Internet but who would want to know how 5G will change their lives for the worst. They also represent a large voting demographic who traditionally vote with real purpose. Starting this April, the following PayPal account is being used to receive contributions to cover necessary personal expenses incurred by the principals to get this project off the ground. For non-Florida residents, please be aware that if 5G is halted in the Sunshine State, the odds of it being shut down in your state go up significantly.